July 2, 2017— More than 400 friends and supporters joined Mrs. Lily Safra as she dedicated the new home of the Edmond and Lily Safra Center for Brain Sciences (ELSC) at the Hebrew University of Jerusalem’s Edmond J. Safra Campus. 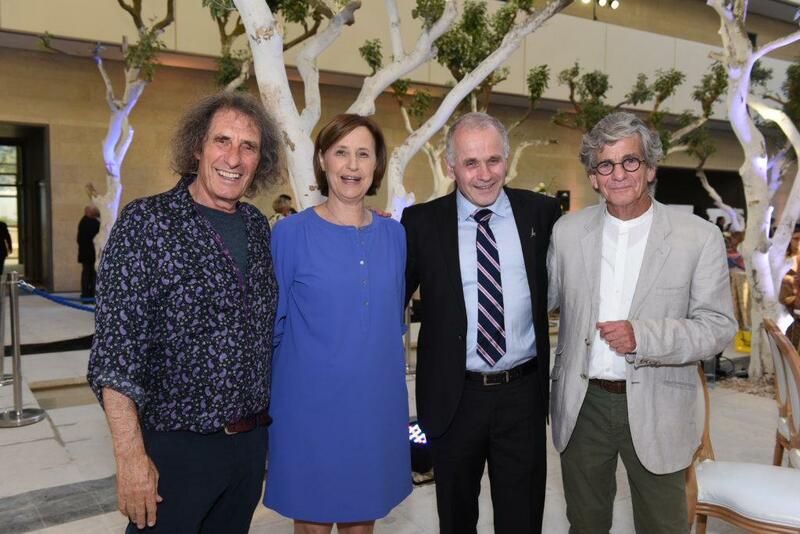 The Mayor of Jerusalem, Nir Barkat, and Lord Norman Foster, Founder and Executive Chairman of the British architectural firm Foster + Partners, which designed the new Center, were among the dignitaries attending the gala event. Mrs. Safra is a leading supporter of neuroscience research projects around the world, and Chairwoman of the Edmond J. Safra Foundation, which pledged a lead donation of $50 Million of the Center’s $150 Million initial budget. The 14,500 square meter Center is a premier setting that will encourage effective collaboration through interdisciplinary collaboration and interaction. Specialists in disciplines such as physics, computer science, psychology, neurobiology, and medicine will all work under one roof to achieve breakthroughs that improve the lives of patients suffering from illnesses of the brain. Directed by Professor Israel Nelken and Professor Adi Mizrahi, the Center will include state-of-the-art labs, classrooms, an innovative imaging center, and areas for biological and pre-clinical research. Significant emphasis was placed on constructing an environmentally friendly building with a focus on conserving energy and reducing carbon dioxide emissions.